Every summer, San Diego Comic-Con gives me a fine excuse to dedicate a column to the popular yet maligned field of comic books. 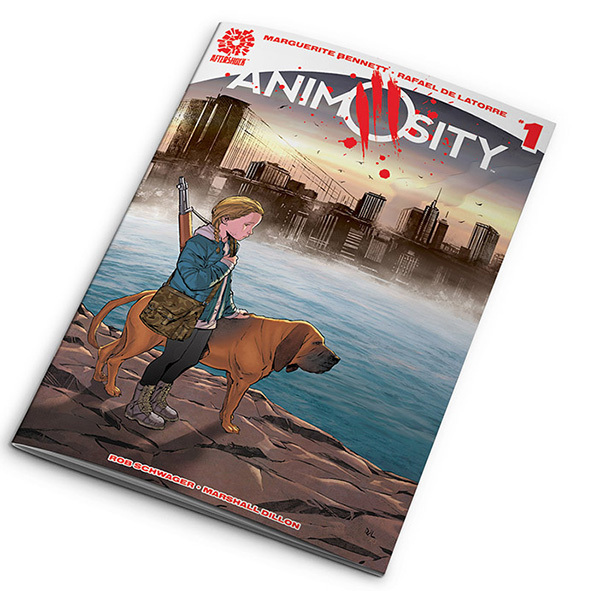 In a pop culture world swimming in apocalyptic settings, Marguerite Bennett and Rafael de Lattore’s “Animosity” has one of this year’s most interesting set-ups. Instead of a dystopic world of environmental chaos and corporate greed, in “Animosity” all of Earth’s animals have abruptly become intelligent and verbal, and want revenge on mankind for their centuries of slaughter and cruelty. Against this backdrop, an 11-year-old girl named Jesse and her lovingly loyal dog Sandor try to make it across this brave new world to meet up with a long-lost half-brother. One of this year’s goofiest comic reads was “Shirtless Bear Fighter” by Sebastian Girner, Jody LeHeup and Nil Vendrell. Bears are leaving the forests and attacking our American cities! Who will save us, but a tough-as-nails, partially-clothed man literally named Shirtless Bear Fighter. Who is responsible for the bear attacks? What is the dark secret in Shirtless’ past? How are the CIA and a toilet paper CEO involved? Leave logic behind and prepare for furry fisticuffs and slow-motion explosions. In 2018, the long-running superhero series “Invincible” came to an end after 15 years. Written by “The Walking Dead” creator Robert Kirkman, this book is simultaneously a hilarious send-up of the entire superhero genre, an engaging action series, and a compelling soap opera. Teen protagonist Mark Grayson develops superpowers and wants to become a hero like his father, the beloved Omni-Man. He quickly joins the superhero community, finds all the ego, drama and dysfunction one would expect, and readers become as interested in our heroes’ love lives as in their superhuman exploits. At the end of the first major plot arc, Kirkman upends the familiar origin story we thought we were reading, raises the stakes, and puts our likeable characters into true peril. If you enjoy the first issue, congratulations — you have another 131 to go. 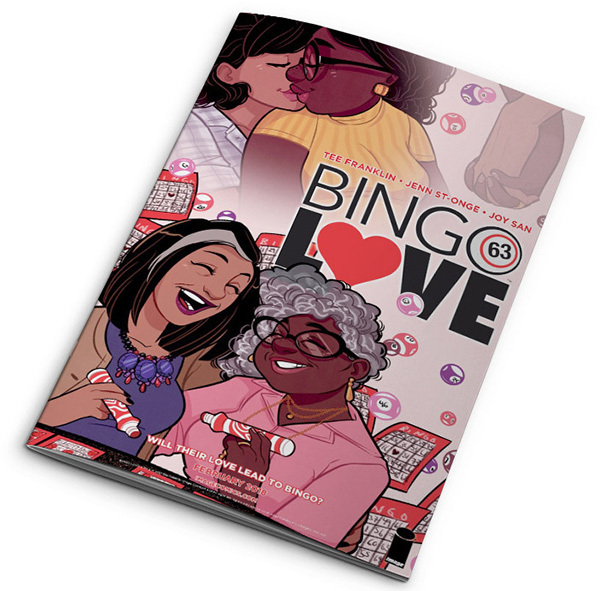 “Bingo Love” was a passion project by Tee Franklin and Jenn St. Onge. While many comics today tend to be variations on sci-fi or crime, “Bingo Love” is a wistful romance. Told over the course of decades, it is about two women who fell in love as teens, were torn apart, and are reunited in their golden years at a church bingo game. After lifetimes in the closet, raising kids and grandkids, how will they choose to live their lives when given a second chance? Very refreshing to see, as the love lives of elderly, queer women of color don’t take center stage very often. 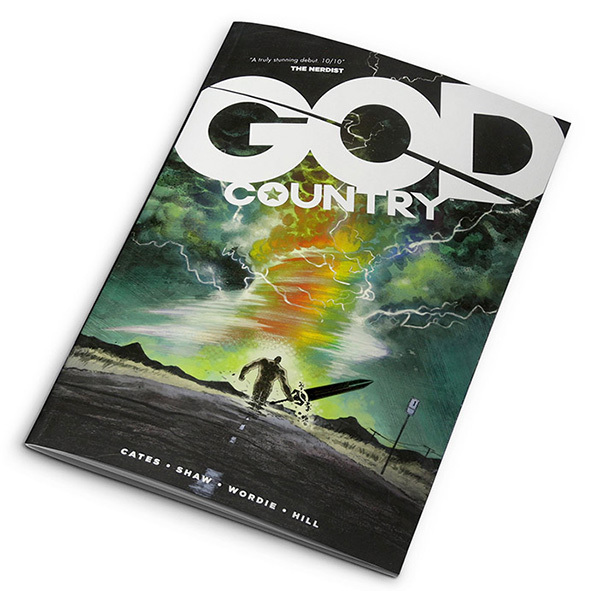 Donny Cates and Geoff Shaw’s “God Country” is a great example of using a fantasy theme to get at poignant human concepts. Set in modern day rural Texas, Roy Quinlan is at the end of his rope trying to care for his growing family, as well as his increasingly violent, dementia-plagued father Emmet. After a freak tornado ravages their home, Emmet finds an enormous sword in the wreckage that magically restores his mind. As long as Emmet holds the sword, he can find joy and peace in reuniting with his son and grandchild. However, the sword has a cruel and powerful master who wants it back, forcing Emmet to fight to hold onto his reawakened self and renewed family life. Magic, action, regret and the impacts of mental illness all come together in a short story with amazing artwork. 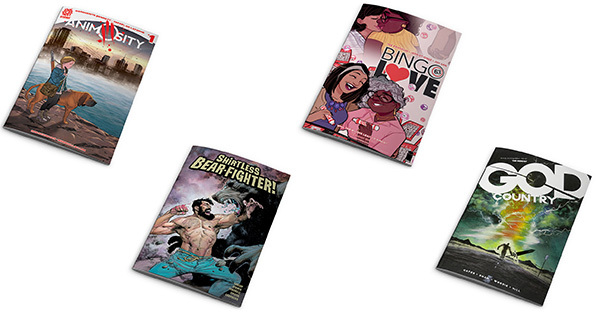 Feel free to try out any of these comic titles during our Summer Reading Challenge, where you can win prizes for reading books and participating in other activities. More information is available at sdcl.org/summer.